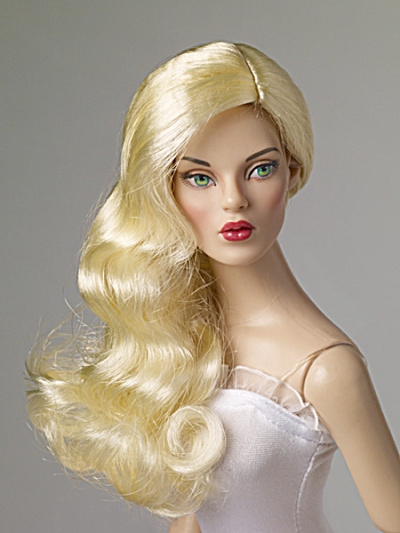 The Tonner Nu Mood Blonde Side Part Wave fashion doll wig, style No. T12NMAC31, is scaled for the 16 inch Tyler Wentworth bodied and all Nu Mood dolls. It also fits the 2012 Deanna Denton. This blonde wig is in a long attractive wavy style with a side part. It attaches by a velcro-like strip to fashion dolls with a place to attach it and change wigs. New, Mint-in-the-Package. A single accessory this size can ship by insured USPS First Class Mail postage. This listing is for only the wig and not the model.